Tonight, though…I have a PSA. Teton doesn’t like being hot. He’s got like, seven coats on at all times, so the whole heat thing doesn’t really agree with him. 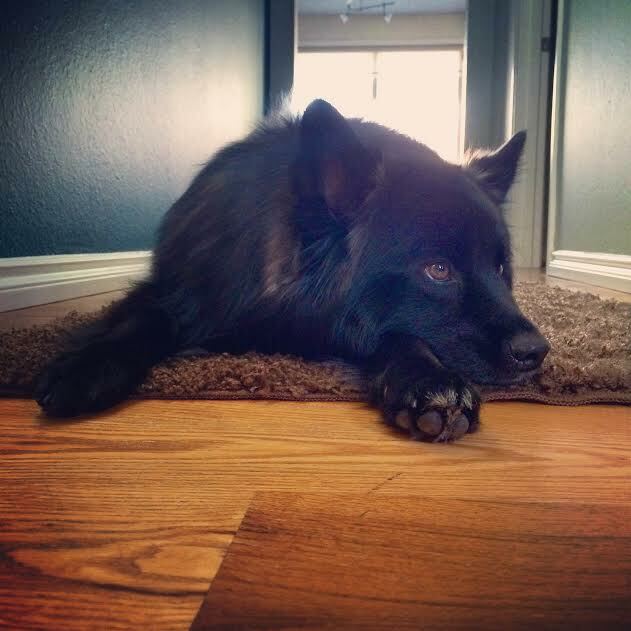 When he was a little guy I used to lay bags of frozen vegetables on him while he sprawled out on the floor and panted, but he’s not really into that anymore. 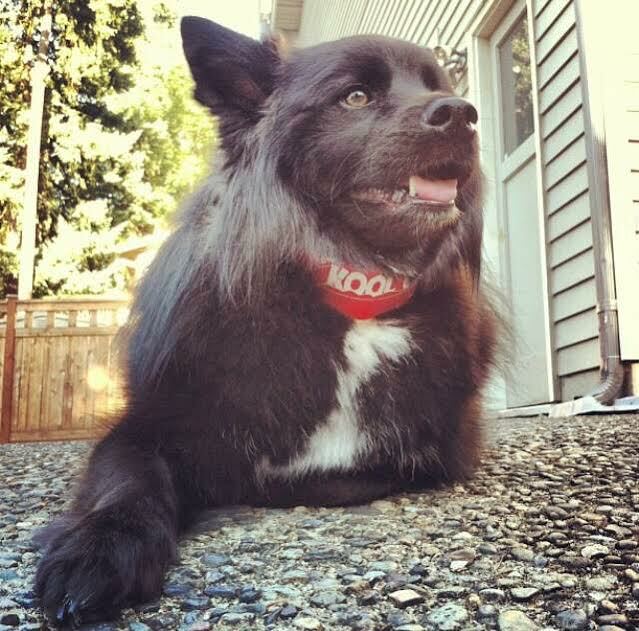 There are a handful of great cooling products on the market for dogs, but my favorite (and Teton’s favorite, I think) is the KoolCollar. 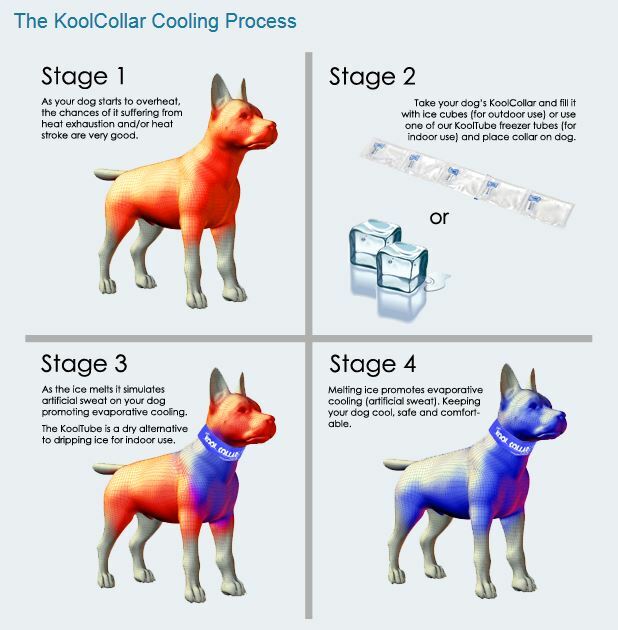 The KoolCollar is an adjustable collar that you can fill with either ice cubes or reusable KoolTubes, which are gel tubes that you can freeze. Seems pretty basic, right? I was mildly skeptical at first but this thing is a MUST for Teton when it’s hot out. For example, we just got back from a walk. It’s not insanely hot out, but there’s that whole seven coats thing that I mentioned above, so Teton was panting and his skin and fur were hot to the touch by the time we got home. I slapped his KoolCollar on and within 5-10 minutes his body temperature cooled off significantly. I think it’s pretty apparent that Teton likes his KoolCollar because when I take it out of the freezer and hold it out, he often walks over to me and sticks his neck out so I’ll put it on. If that’s not adorable, I don’t know what is. We keep all of the KoolTubes in the freezer and rotate through them so Teton can always have his KoolCollar on hot summer days and evenings. Posted on July 17, 2014 by Shannon	This entry was posted in This 'N' That. Bookmark the permalink. My dog Vince has a tough time with the summer heat and I’ve been looking around for something to help. I keep catching him lying in front of the fans or in the shower pan, so it’s definitely time to help him out! Thanks for the great tip. If the Kool Collar can keep Teton cool, I’m sure it will help Vince!